Are smart people ugly? The Explainer's 2011 Question of the Year. Why Are Smart People Usually Ugly? An answer to the Explainer’s 2011 Question of the Year. 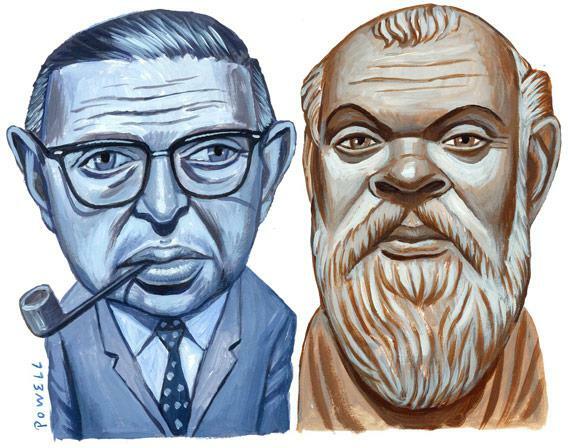 Jean-Paul Sartre and Socrates were known for their brains and not their looks—at least not the good kind. In third place, with 6.6 percent of the total votes, a bit of speculative evolutionary biology: Let’s say that a meteor never hits the earth, and dinosaurs continue evolving over all the years human beings have grown into what we are today. What would they be like? In second place, with 7.5 percent, an inquiry into pharmacokinetics: Why does it take 45 minutes for the pharmacy to get your prescription ready—even when no one else is waiting? Why are smart people usually ugly? I get this isn’t always the case, but there does seem to be a correlation. Attractiveness doesn’t predict intelligence (not all ugly people are smart), but it seems like intelligence can be a good predictor for attractiveness (smart people are usually on the ugly side). Keep in mind, I have nothing against people who are really brilliant, I’ve just always wondered. Oh, how the Explainer loves a false premise. When it comes time to assemble the year-end list, he’ll always give extra credit to questions that are predicated on blatant untruths. In 2010, for example, someone wanted to know why athletes never sneeze. In 2009, a reader asked, Why is it always funny to put something on your head as a pretend hat? But this year’s winning question isn’t merely ill-posed; it gets the truth exactly backward. While some researchers pondered this question, a Columbia University psychologist named Edward Thorndike made another, related discovery. 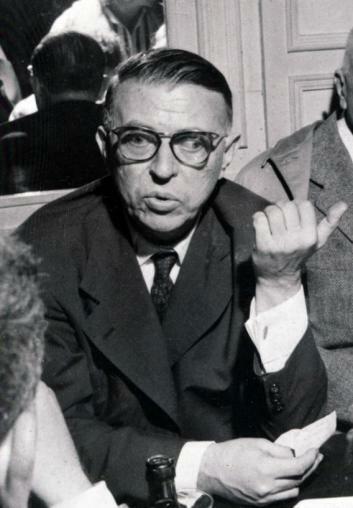 In 1920, Thorndike published his theory of the “halo effect,” according to which subjects, when asked to describe someone’s various qualities, tend to “[suffuse] ratings of special features with a halo belonging to the individual as a whole.” If they were describing the person’s physique, for example, along with his bearing, intelligence, and tact, they would assign high or low ratings across the board. Later studies confirmed that the halo effect could arise from a simple photograph: If someone looks handsome, people tend to assume that he’s smarter, more sociable, and better-adjusted, too. Now there were two findings: First, scientists knew that it was possible to gauge someone’s intelligence just by sizing him up; second, they knew that people tend to assume that beauty and brains go together. So they asked the next question: Could it be that good-looking people really are more intelligent? Here the data were less clear, but several reviews of the literature have concluded that there is indeed a small, positive relationship between beauty and brains. Most recently, the evolutionary psychologist Satoshi Kanazawa pulled huge datasets from two sources—the National Child Development Study in the United Kingdom (including 17,000 people born in 1958), and the National Longitudinal Study of Adolescent Health in the United States (including 21,000 people born around 1980)—both of which included ratings of physical attractiveness and scores on standard intelligence tests. When Kanazawa analyzed the numbers, he found the two were related: In the U.K., for example, attractive children have an additional 12.4 points of IQ, on average. The relationship held even when he controlled for family background, race, and body size. From this, Kanazawa concluded that the famous halo effect is not a cognitive illusion, as so many academics had assumed, but rather an accurate reading of the world: We assume that beautiful people are smart, he argues, because they are. So, getting back to the original question, the bulk of the evidence suggests that smart people are not “usually ugly.” In fact, the opposite seems to be true: Either smart people are more beautiful than average, or dumb people are more ugly (or both). And while no facial features within the normal range could ever be that useful as a predictor of intelligence, people can perform better than you’d expect from random chance using nothing more than a head shot. All of which leaves one great, unanswered question. If smart people tend to be good-looking, that might explain the halo effect. But what led our questioner to get things backward and assume that smart people were ugly? And why are there so many like-minded others, asking the same question—or its inverse—around the Internet? (Here’s one, and one more.) Aren’t we all familiar with the archetypical nerd, who is both ugly and smart? At the opposite end, what about all those beautiful, airheaded women and beefy, brainless men we see on television? Could the person who wrote in with the 2011 Question of the Year be succumbing to a bias that hasn’t yet been documented in the lab—a sort of halo effect in reverse, a “horns effect,” perhaps? In addition, Kanazawa points out that a closer look at the data reveals an interesting fact: The very ugliest people in his dataset are dumber on average, but they also tend to be the most diverse when it comes to intelligence. That means that if you’re at the low end of the spectrum for looks, you’re more likely than anyone else to be at one extreme end for IQ (either very dumb or very smart). If that’s the case, then it might provide another reason why Sartre and Socrates types stick out in our minds. We know (consciously or not) that ugly people tend to be a little dim; but at the same time, there are more brilliant brutes running around than we might expect. For his part, Kanazawa rejects the notion of the horns effect—he doesn’t believe the smart-and-ugly stereotype exists at all. (Indeed, it has never been shown in the lab.) Instead, he says, we may be assuming that smart people are nerdy, and that nerdy people tend to lack social skills. Since people with social skills are attractive, there could be an indirect link between at least one kind of “attractiveness” and intelligence. But if you’re looking at pure “beauty,” as measured by rating photographs or measured facial features, then intelligence and looks go hand-in-hand. Bonus Explainer: Why might intelligence and looks go hand-in-hand? There are a few different theories. First, it might be that some common genetic factor produces both smarts and beauty. Or maybe there’s a combination of genes that make people both dumb and ugly. Kanazawa thinks it’s the former, arguing that intelligent men have tended to rise to the top of the social hierarchy and select beautiful women as their mates. Their offspring, contra George Bernard Shaw’s supposed quip, would have had both traits together. Another theory holds that certain environmental factors in the womb or just after birth can produce both facial disfigurements and cognitive impairments on one side, or facial symmetry and high intelligence on the other. A third suggests that attractive children are treated better, and receive more attention from their caretakers and teachers, which helps to nurture a sharper mind. It’s also possible that smart people are better able to take care of themselves and their looks. Explainer thanks Satoshi Kanazawa of the London School of Economics, Joshua Knobe of Yale University, Alina Simone, author of You Must Go and Win, and Leslie Zebrowitz of Brandeis University. Good news: After years of hiding out in the Explainatorium like a banished superhero, answering submitted questions from deep inside the fortress, the Explainer has decided to soar out into the world, pen in hand, to spread peace and understanding among the column’s faithful. And so we present a new, occasional feature on Slate: the Explainer House Call. Do you have a family disagreement over some fact or pseudo-fact? Are you stuck in an endless argument with an annoying co-worker or a friend? Have your attempts to Google your way out of it only pushed you both into the filter bubbles of the Internet? Worry no more: The Explainer will be your arbiter and your savior, an avenging angel of argument, slinging thunderbolts of pure reason and drenching your squabbles in the heavy rain of explanation. How does one qualify for this personal Explainer service? To get a house call, and have the Explainer resolve your special beef in Slate, you must first gain the support of your peers. What factual matter has been driving you and your friend/spouse/coworker bonkers in recent weeks? Post a short summary on our Facebook page or Tweet us the question with the hashtag #ExplainerHouseCall. Then we’ll ask the members of Explainer Nation to vote for the dispute that’s most deserving of the Explainer’s attention. Correction, Jan. 12, 2012: The original overstated the magnitude of the results of the Ohio and Pittsburgh studies.